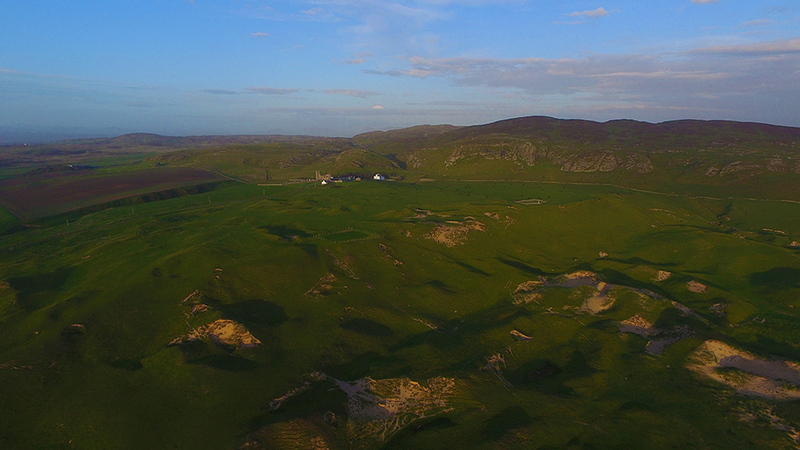 A different view of Kilchoman, seen from the air with a DJI Phantom 3 on a June evening on Islay. Kilchoman Church and Kilchoman House nicely visible in front of the crags. Kilchoman Military Cemetery towards the right at the top of the dunes. Rockside Farm with Kilchoman distillery only just visible in the distance on the left. This entry was posted in Beaches, Cloudy Weather, Islay from the air, Landscape, New Post, Sunny Weather, Sunset, Village and tagged Islay, Kilchoman, Kilchoman Church, Kilchoman distillery, Machir Bay, Rhinns of Islay, Rockside Farm by Armin Grewe. Bookmark the permalink.